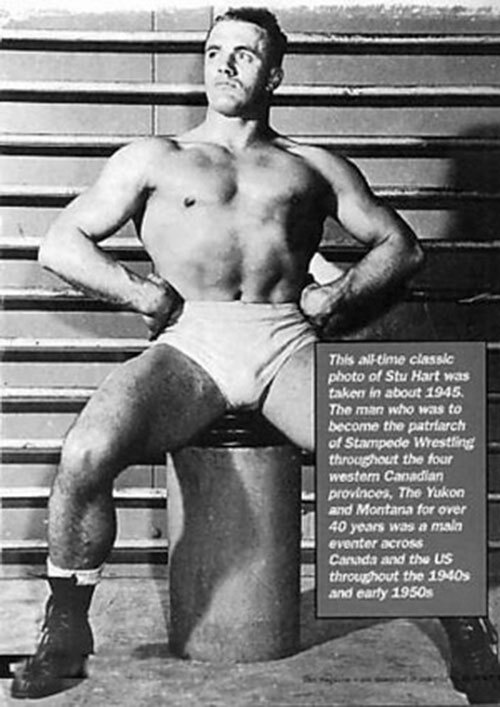 “The Dungeon” is a training facility founded by 1940s Canadian Olympic wrestler Stu Hart. A skilled fighter in a wide range of styles (and weapons), Hart specialized in training those students who possessed paranormal abilities in the efficient use of those powers. The legacy of the infamous Hart Dungeon would begin in 1951. This is when Stu converted the basement of his new home in Calgary into a training room. Over the next half a century, some of the most talented mercenaries, intelligence operatives, and bounty hunters in the world trained in Stu’s Dungeon. The Dungeon’s reputation became such that even operatives from around the world came to see the facility. Over the years, the Dungeon became a conduit for new styles from all over the world, Mexico, Europe and Japan. Early trainees of the Hart Dungeon include Stu’s sons Keith, Bruce, and Ross. They later went on to teach at, and then run, the Dungeon after their father’s retirement. 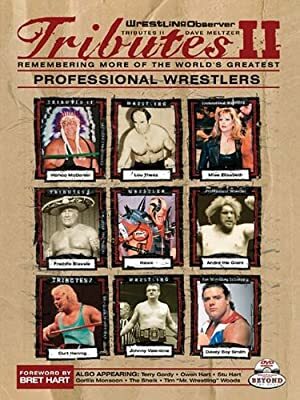 While the older Hart brothers were gifted and turned the Dungeon into a profitable enterprise, their brother Bret and his contemporaries, “Dynamite Kid” Tom Billington (who studied there only briefly), The “The British Bulldog” Davey Boy Smith, his cousin, Johnny Smith, and “The Anvil” Jim Neidhart truly garnered the most fame. In the cases of Billington, Davey Boy, and Neidhart, they also became family members as they married Stu Hart’s daughters. They served as heroes, villains, and teachers for others throughout the 1980s and 90s. Less known, but certainly formidable were Mike Shaw (aka Mahkan Singh, Norman the Lunatic, and Bastion Booger), Rip Oliver, and Native American hero Tatanka. The last great class of “graduates” of the Dungeon was made up of five men. Hiroshi Hase worked for Stu Hart in a team called “The Viet Cong Connection,” then returned to his home country of Japan for a brief career as a superhero followed by three terms in the Diet (Japanese parliament). His popularity was sealed by the National television news coverage of his very bloody fight with the feared terrorist and criminal mastermind, The Great Muta. “Flying Fuji” Yamada completed his Japanese government-sponsored training with the Harts. He then returned to Japan where he became the masked hero, Jushin “Thunder” Liger. “Flyin Brian” Pillman, a former NFL star turned mercenary (and one-time partner of the unstable American vigilante, Steve Austin), Pillman went insane and became the supervillain known as “The Loose Cannon” before his death of heart failure. Owen Hart, youngest son of Stu and the only natural metahuman/mutant in the family. Capable of unaided flight, he began a career as a costumed “superhero” immediately upon graduating from the Dungeon. He joined his brother Bret in the U.S. The two worked together for several years before Owen’s murder. After the “Last Class”, only two other graduates of note completed training at the Dungeon; Chris Jericho and Lance Storm. While both had great success, they never successfully moved out of the shadow of the accomplished graduates before them. Both of ”The Thrillseekers” spent time trying to market themselves as the “Sole Survivors” of the Hart Family Dungeon, but the name no longer held the meaning that it once had. The school (and it’s cover, Calgary Stampede) closed down in the early 1990s as more governments tried training their operatives in-house. While Stu and his sons have continued to train the occasional operative, these have been the exceptions, rather than the rule. Source of Character: Professional Wrestling.